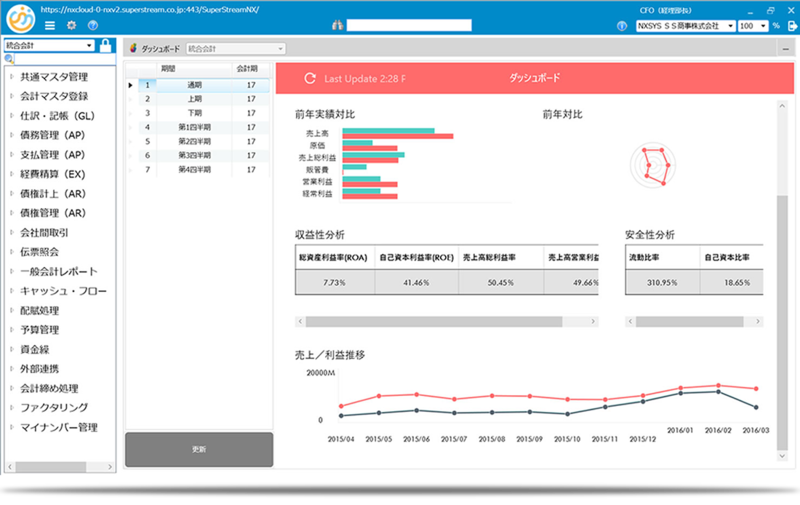 Tokyo-based SuperStream Inc. provides management framework software to global accounting and human resource management departments at more than 8,000 medium-to-large businesses. When more than 10% of those clients are in the Fortune 500 or are publicly listed companies in Japan, meaning that they require additional layers of reporting. SuperStream needed to update their software to keep the expanded global offices of growing Japanese firms on the same page in an instant, providing them with the governance they demand. No matter where a subsidiary may be, and if they speak Japanese or English, SuperStream wanted to provide one global instance for enterprise resource planning (ERP). The company allotted 24 months to update the framework. This launch was more strategic than a simple software update. “This is to strongly support the overseas business expansion of our Japanese clients so they can have a connected accounting system and substantially cut IT investment costs as a whole,” said Yamada. Using the controls from Infragistics Ultimate UI for WPF, and integrating ReportPlus Embedded, SuperStream NX v2.0 launched six months ahead of schedule, and with more features than initially conceived to help companies optimize their accounting and human resources management. The team leveraged the sample code to integrate the multi-row layout grids, and was able to get expert answers quickly from Infragistics‘ support team. They integrated the Calendar, Pivot Grid, Property Grid, Rich Text Editor, Infragistics Drag and Drop Framework, Infragistics Excel Engine and more. Data visualization from Infragistics’ ReportPlus Embedded provides robust BI data processing and graphic presentations to complement the grids and controls already built into the product. By embedding analytics, the new version of SuperStream-NX provides dashboard views of training materials, news, and details of the usage license. “We’ve adopted a simple yet elegant page layout for data, with a flat and universal, user-friendly design,” said Yamada. Integrating ReportPlus Embedded was easy and fast, with minimum coding needed. Time is of the essence when it comes to a software revamp and relaunch. Not having to write complex code to achieve what we wanted helps a lot. “We did more than just switch from Silverlight to WPF. With Infragistics Ultimate UI component library we managed to complete the upgrade in 1.5 years instead of two, despite of the size of our ERP package and the addition of embedded analytics,” said Yamada, who also serves as a director and Chief Marketing Officer. The new dashboards increase customer satisfaction, and SuperStream adds app value while increasing app stickiness at the same time. “We managed to incorporate the ReportPlus Embedded features in just three months. The sample code provided by the Infragistics’ support team was very helpful,” IT Architect, Jun Sato said. Embed beautiful data visualizations within an unlimited number of apps to reach an unlimited number of users. Get started with our predictable pricing and all inclusive product & service engagement.